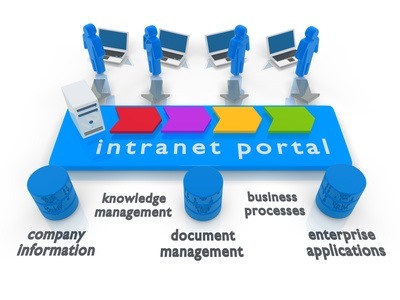 The corporate intranet provides a secure way for employees to remotely access company information. It enables them to collaborate on projects, send reports, get updates and virtually everything that they can do when in the office. However, intranet software is very expensive and it should be maximized in order to be cost-effective. For the intranet to be successful, the key is to engage employees as often as possible and maximize the use of the tools and applications offered in the system. To encourage employee participation in the intranet, there are six components to integrate with the system. Employee Directory – People are always a point of interest in any organization. An updated Employee Directory is a good place to start in encouraging employees to contribute content to the intranet. Require them to update their profiles, update their skills, personal and professional background, as well as hobbies and interests. Make sure that each employee posts his or her own profile picture so that everybody can recognize the name on the profile. Home Page – Set the intranet as the home page for all web browsers throughout the company. This way, all employees can view the site without having to remember the URL. When they open their browsers, they can get immediate updates and news from the intranet. This makes it easy for them to access the site as well as encourage them to browse the site more at their convenient time. Communication Tools – As a communication platform for all employees within the company to communicate, a variety of communication tools should be available whenever needed. Chat rooms, forums, and emails are among the most common tools used by the average user. With these familiar tools in place, all they have to do is access it and communicate with colleagues on and off site. Social Media Tools – Allow employees to use social media tools on the intranet so that they are more likely to participate. Employees can view, rate, and comment on videos, photos, blog posts and other content that strike their interests. Polls are also a great way to generate discussions. Features – Featuring employees and events in the company will also peak their interest. Dedicate a page for such announcements, such as birthdays, weddings, retirements, and any other milestones of employees and be sure to include a photo or two of the employee and the event. Contests – Hold contests that encourage user participation in the intranet. They can enter into the competition by filling up electronic forms. Set rules that get them to use the intranet in order to accomplish the tasks. The winner and the prizes will also be announced on the company home page. There are so many things you can do with the intranet software that make employees want to use it every day. The above examples are only a few of them. Be creative and add applications and tools that increase interactivity in the network.